The perennial question when it comes to insurance is how much coverage you need. This question applies for all types of personal insurance, from health to car to property. But one type of insurance that is not thought about nearly enough by most people is disability insurance. Many people aren’t even aware that it is available, while many others underestimate its importance. Even right at this moment you might be thinking to yourself, Disability insurance? I don’t need that: I get it through my employer! The problem is that the amount of disability insurance that is supplied by many employers is not comprehensive enough to meet most people’s needs during any unexpected long-term period of disability. For example: According to the Council for Disability Awareness (CDA), over 25% of today’s 20-somethings will become disabled at some point before they retire, and the average disability claim for lasts for 31 to 35 months. Combine that with the fact that many group plans only cover up to 60% of your income, and the importance of supplemental insurance becomes clearer: can you imagine living with a 40% pay cut for the two to three years? Few people have the savings that would enable them to navigate such a setback. The situation is even bleaker for people whose only source of disability insurance is through Social Security Disability Insurance (SSDI). SSDI has maximum monthly benefits, and the average monthly benefits available through SSDI are $1130. Furthermore, the process of initiating these payments is often a lengthy one that stretches out for months and that may involve several appeal processes: approximately 65% of SSDI claims are denied. Any period in which a person is newly disabled is stressful enough without having to spend weeks or months advocating for one’s benefits! You also shouldn’t count on worker’s compensation to cover your needs or assume that you don’t need disability insurance if you work in a low-risk job: the CDA has shown that fewer than 5% of disability-causing accidents are work-related. What do I need to know about getting a disability insurance policy? First, you want to have a good understanding of what your current coverage is. Know the limits of any group policy that you have through your employer, and determine whether or not there are options for you to increase this coverage on the group plan. Oftentimes, premiums for comparable coverage cost less on group plans than on individual plans. You should also develop a budget and have a good understanding of your family’s financial needs. Be honest with yourself about your financial assets and limitations: this knowledge will enable you to purchase adequate coverage without going overboard and wasting money on a premium that exceeds your needs. Before you purchase a disability policy, research several options. Determine the cost per $1,000 of coverage and the average waiting time of any policy that you consider. Your best bet is to talk with us at Hennesy Insurance Agency. We are an independent insurance company. 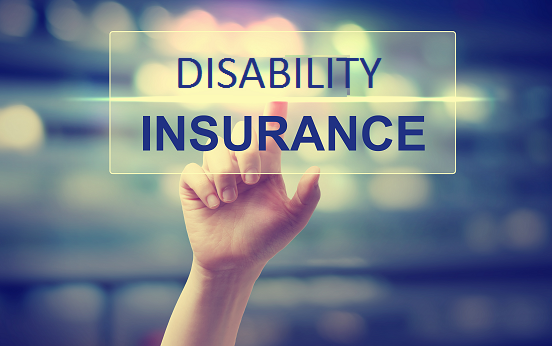 We can help you decide about whether or not you need supplemental disability insurance. We can help you review your options to determine the best plan to meet the needs of you and your family.